I agree Nath. I enjoyed the storyline with the grandmother and the investigation too. It was fun. But something happened there and after a while, although still good, Lexie and Coop's moments didn't have that same intensity. Their communication was great at the beginning too... loved their direct approach. Then that also deteriorated and the avoidance began, but that seemed more part of their conflict, I think. I liked this one too - my first Phillips so I wasn't sure what to expect. I definitely want to read Sara's story. Leslie, me too! I liked Sara and just from the bit we got at the end this book, her upcoming story (and the hero) sound really good. Hmmm. 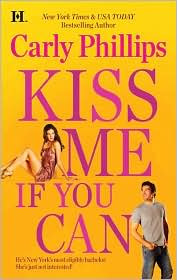 Carly Phillips has been hit or miss for me, with the hits earlier and the misses later. I haven't been tempted by her titles for awhile. Nicola I haven't read Phillips' backlist. This is a new series for her -- I would place this book under fun contemporary romance. At least the secondary characters gave it that "fun" feel. It wasn't a wowzer for me, but it was a straight contemp/romance (not chick/lit or chick/lit(ty)) and that's something I really appreciate these days. 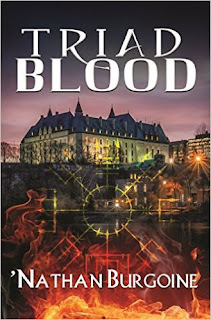 I liked the premise for the series and will read the next book.